Surgery is undertaken either to diagnose or to treat a condition. Diagnostic surgery is usually called "exploratory" surgery. For example, if we see a dog with pale gums and a swelling abdomen, we will probably do an "exploratory laparotomy", an operation to open the abdomen, not knowing exactly what we will discover. Inside we may find a torn spleen is the source of internal bleeding, and carry out a "splenectomy", removal of the spleen. Surgery is the best form of treatment for any tumour. It is usually the fastest way to repair most injuries although there are many circumstances in which the decision either to operate or to allow "self-repair" is a frustratingly difficult one. Two somewhat similar sounding terms have different medical meanings. Adding "ectomy" to the end of a word means "to remove". A tonsillectomy is an operation to remove the tonsils. The terms "otomy" means "to open and close". When we do a "tracheotomy", we open the trachea, remove something, then close up the opening made in it. The term "ostomy" means "to open and leave open". 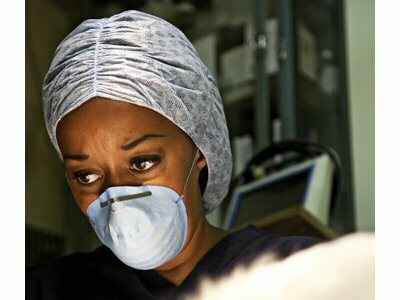 We will carry out a "tracheostomy" when, for example we need to create a permanent new opening in the trachea (windpipe) for a dog or cat to breath through. Although little is published in the area, logic and common sense say that a positive post-surgical environment is as vital for dogs and cats as it is for us. 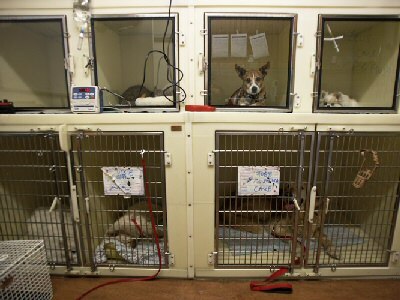 They probably get better faster in their own homes than they do when they are separated from their human families. As soon as it is safe to do so, we arrange for your pet to return to its own home. Licking wounds is a natural behaviour and from your pet's perspective, a surgical incision is simply a wound. 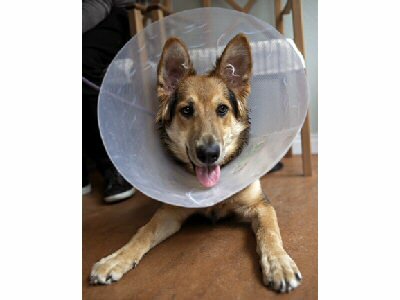 We usually give you an "Elizabethan collar" or a plastic neck brace that prevents your pet from licking the surgical site. Both you and your pet may initially object to this restriction but removing it can lead to excess licking and the need for further minor surgery to replace the stitches that were licked out. Good nutrition is vital during recovery from any illness. Curiously, dogs and cats are probably better catered for in this area than are humans, simply because they depend upon us for their food and pet food manufacturers have created ranges of therapeutic diets for a variety of conditions. Generally speaking, the diet for any ill dog should be tasty and easily digested. After surgery we may suggest an easily digested, tasty food for your cat or dog. Good care is vital for any pet but critical for an unwell individual. In some circumstances care can only be provided through hospitalisation. The in-patient is on 24 hour observation, will probably be receiving intravenous fluids or round the clock medications. When the critical stage of an illness is over most pets are better in their own homes. You can create a comfortable environment for your pet but please follow our instructions with any medicines that we dispense.